Today is a very exciting day, as I welcome Quorum International to the Vintage Fans & More family of product representation. Never before have I brought on a brand with which I have zero personal past experience, but recommendations from industry friends and some stellar recent product introductions have changed that. While at Lightovation, I was able to connect with Quorum and they were interested in getting on board with me. 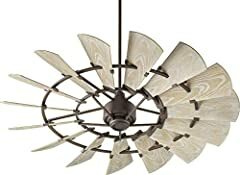 Today I present the 44″ Windmill, one of the newest additions to the most iconic ceiling fan series of recent times. 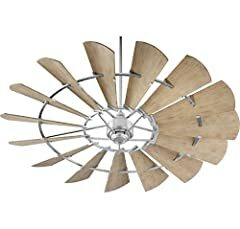 This fan presents an unmatched form that flexes from farmhouse to industrial to transitional, and everywhere in-between. Now with sizes and accessory light kits to suit any location, the Windmill provides form and function better than ever before. FTC- Today’s video was made possible by Quorum International. Product provided by Quorum, all views and opinions are my own. 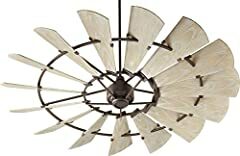 Wow this is a very unique ceiling fan,how much does it cost? That is neat! I’ve always thought that farm windmills were interesting. Designs like this show that the industry is still innovating, great review Cole! This is awesome, I’ve been curious about this model. Thank you. Question. 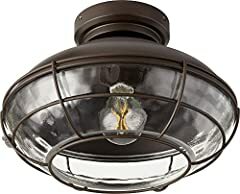 How low does it hang on an 8 foot ceiling without the light kit? Wow, I really like this fan. Old weathered look, vintage styling with new D.C. Motors, and a rumored awesome spindown? Who could ask for more? I really can’t wait to see more Quorum products on this channel. I’d like to see the Quorum Prizm get a videos of its own. (Not a Quorum product, but I’d love to see a review of the Hunter 1886 Limited Edition as well!). Also just curious, is Quorum an American fan company, do they source parts for and make their fans in the U.S.? As for your fan reviews, I love them! I really like the consumer to consumer reviews. Nobody else makes fan review this professional. You’ve introduced me to a range of unique fans. I just have a few nitpicks, you shouldn’t take anything I say personally though, they’re just nitpicks. I feel the commentary in the videos are sometimes a little bit robotic and it’s hard to really understand when something about a fan is a really good benefit or just a feature that’s neat and deserves a short mention. But I have no problems with it, it’s just a suggestion and again don’t take it personally it’s just my silly nitpicks. Also, it would be cool to see reviews of fans that you would not recommend getting, old or new, due to them breaking a lot or poor customer services or stuff of the like. It would also be cool to see a review system where you rate a fan on stuff like CFM, style, practicality in a large room or small room, things like that. Like something like “this fan makes 5,000 CFM and it earns a (what ever out of what ever) in the airflow category.” These are just my suggestions. On a different note, I really enjoyed the little ‘fan facts’ you put throughout the video, like how D.C. Motors spin down a littler faster than other fans and I’d like to see more of those as I am a fan collector and I’m looking to learn some more about ceiling fans. Anyways I really like your videos! Keep it up! When will the demo video come out? I really want to see this on all speeds.